So, you are the owner of a brand-new Caldera Spa? Giving into your long-anticipated dream of hot tub ownership offers a lifetime of relaxation. Fortunately, at Intermountain Aquatech, we offer our customers a wide-range of Caldera Hot Tubs and Spas that provide just that. But once you have signed on the dotted line, there are a few things to know. Before you sink into the warm water of your new spa, take a moment to familiarize yourself with some essential items including what makes a Caldera Spa different than the rest and how you can maintain it. Caldera has a reputation for creating the best hot tubs on the market. 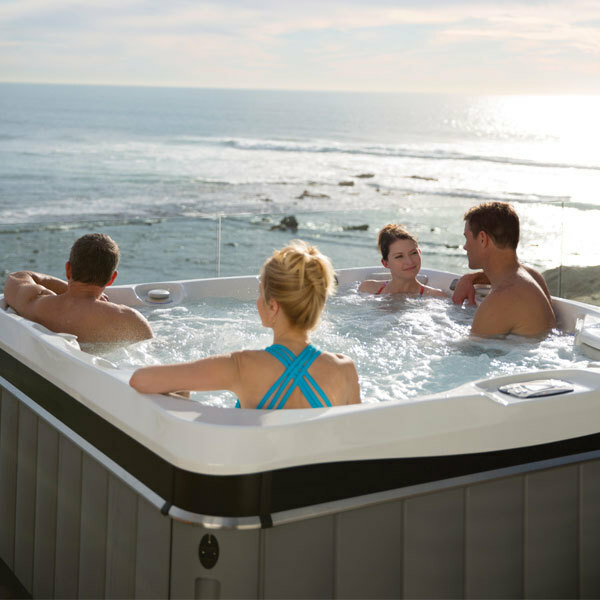 Each hot tub gives you the ultimate level of comfort, energy efficiency, and performance. Here is what makes Caldera Spas different. The best hot tubs are designed for comfort. Caldera considers comfort an essential element in hot tub design because it ensures a relaxing experience and enhances the benefits of soaking in hot water. With your new Caldera Spa, you will reach relaxation as soon as you step inside. The best hot tubs are designed to awaken the senses. From the vibrant colors and contemporary cabinet styles to the organic contours of Caldera Spa’s sculpted seats, every element is intended to soothe and delight the senses. But the design isn’t the only thing you’ll love—it is the comfort that that design enables. The best hot tubs are designed for performance. For advanced hydrotherapy Caldera Spas and hot tubs are built with the highest quality components to ensure years of dependable performance. You won’t have to worry about draining your energy bill either because your spa’s design allows for better energy efficiency all year round. Along with better design, comfort, and performance, Caldera also offers breakthrough technology. The FreshWater Salt System is an intuitive approach to water care that will drastically reduce the amount of time you spend maintaining your spa, so you can relax and experience the wellness benefits longer. While the care of a Caldera Spa is easy-to-follow with the FreshWater Salt System, not all models have this new technology. To properly care for your hot tub, follow these maintenance tips. Using a garden hose, spray the hot tub filter, and rotate the filter while spraying, to thoroughly remove any debris lodged between the filter pleats. Then, make sure to replace your hot tub filter every three years. Depending on your exact Caldera Spa model, you should routinely drain and refill your hot tub. If you have a saltwater hot tub system, you may only need to change your hot tub water once a year. If you have a traditional chlorine or bromine spa, you should have to change your hot tub water every three to four months. Clean the skimmer basket weekly to ensure proper filter flow. Remove any debris. Read the instructions of your Caldera Spa for testing your hot tub water correctly. The FROG® In-Line Water Care System is a sanitization system we often recommend to our customers. Tip #5. Consider a hot tub ozanator. Ozanators help control contaminants and keep your hot tub water more stable. Consider adding one to your sanitization system to keep the water fresh longer. Now that you know everything there is to know about your Caldera Spa, it is time you enjoyed your new purchase. Contact the Intermountain Aquatech team with any additional questions you may have.